Dundee Football Club in the Community Trust (DFC In The Community Trust) was established in November 2017 as a Scottish Charitable Incorporated Organisation (SCIO). Our purpose is to advance education and public participation in sport through the organisation of recreational activity leading to improvement in conditions of life for participants. - The advancement of public participation in sport by providing the opportunity for adults & the youth within the City of Dundee and surrounding area to train and play football. - To organise recreational activities for people in Dundee and the surrounding area with the object of improving the health, fitness and wellbeing of people of all ages and genders through public participation in physical exercise. - The advancement of education by providing funding and opportunities for the delivery of educational initiatives. - To improve the social inclusion of people in the community. FFIT is a 13 week course run in partnership with the Scottish Professional Football League Trust. This project has been delivered across the country since 2010 and aims to encourage participants to make significant changes to their risk of poor health by losing weight, becoming more active and eating a healthier diet. Our community staff have been trained to deliver this specific programme and they encourage participants to stay active and healthy whilst positively influencing the choices of participants’ wider family and friends. Each session lasts 90 minutes and is made up of interactive classroom work and physical activity. Time as a group leads to discussion stemming around lifestyle, barriers to change, diet and nutrition. This is then followed by physical activity, with the intensity of this work increasing as the course goes on. This programme is organised at various points throughout the year for both men and women and is fully tailored to individual client needs and requirements. Football Memories, delivered in partnership with Alzheimer Scotland is an initiative aimed at giving older people, the chance to meet and reminisce about the beautiful game in the home of Dundee Football Club. The group meets every second Tuesday of the month between 14.00-15.30 and carers / family members are also welcome to attend. The group is often visited by some former players who share their memorable moments and memorabilia of the past. Walking football has become increasingly popular in recent years with a number of groups formed across the country. Walking football is a standard game of football where players must walk instead of run. The game is designed to help people get fit or maintain an active lifestyle no matter what their age and fitness. Walking football is perfect for people getting back into football and is an easy way to introduce yourself to the beautiful game. A number of health benefits are attached to participating within walking football with improvements noted in players blood pressure and mobility. It is not all about the health benefits as walking football also offers huge social benefits. Participants can meet new people, avoid becoming isolated, interact with individuals and small groups and attend first team matches together. Our Seniors Club meet on the last Tuesday of every month in the Billy Steel Lounge. This group is hosted by Dundee Legend Ally Donaldson, we have a guest speaker and also deliver a quiz throughout the session. 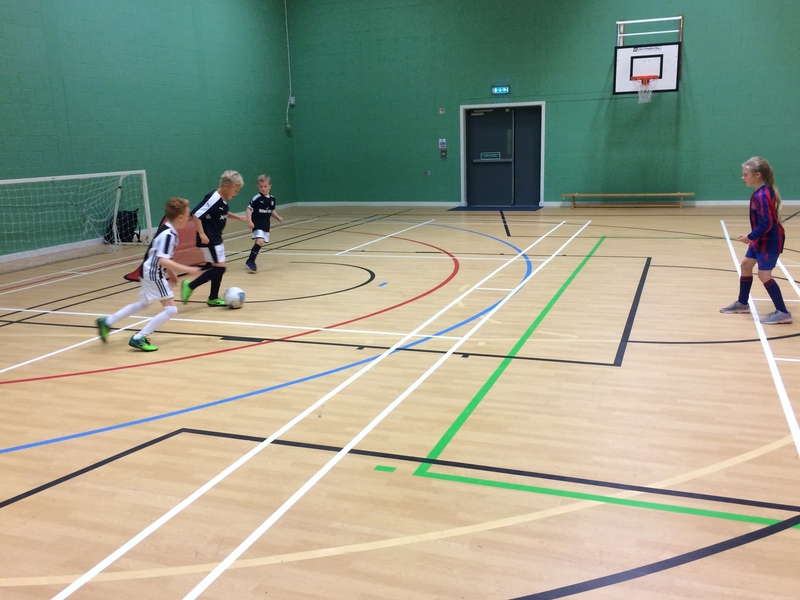 This extensive programme offers fun filled football coaching within the school environment where participants can develop both individual and team skills. Each week our coaches are given a theme for delivery leading to maximum player development and enjoyment. Our sessions run throughout Dundee and also extend to Kirriemuir and Fife. All players who attend sessions will receive a match ticket to watch Dundee at Dens and receive another special gift from DFC In The Community Trust. Our holiday camps are run in partnership with Leisure and Culture Dundee and Dundee United Community Trust. These camps are delivered during Easter, Summer and October holidays across multiple venues with additional session also available for school in-service days. All camps include player and mascot visits from both clubs. DFC In The Community Trust visit a number of Primary Schools throughout the school year to deliver sessions on healthy eating, the importance of fruit and veg and how to keep strong performance as an athlete. During visits we are accompanied by a first team squad player who is on hand to answer questions and sign autographs. Our IDL project is delivered in partnership with Grove Academy as we work with S2-3 pupils over a 6 week period to create a presentation on the latest events at Dundee FC. The project allows pupils to interview first team players and managers before conducting further research. This project will run for the academic year 2018-19.